I've been a couple of times and really enjoy the soups and dumplings. The bakery items are excellent as well. 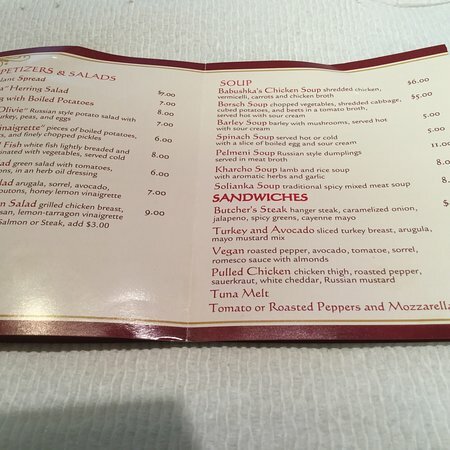 There is extremely limited seating inside, so it's not good if the weather is poor unless you are doing take out. Family visit and had breakfast sandwich, pulled chicken sandwiches plus kvas. All were excellent but it was a rainy cool day which made outdoor eating uncomfortable. Very pleasant server and people who were customers were very friendly. очень вкусно!!! Visiting from Canada was looking for some soul food and found a gold mine! So yummy! 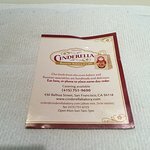 This is the 2nd Russian Bakery I'd tried in San Francisco, and it is quite good. 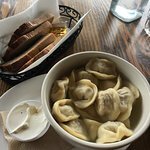 Yummy pelmeni, piroshki and vatrushka! 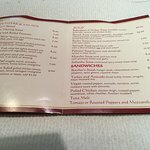 Had a wonderful lunch of soup and sandwiches. Lines are likely but service is quick and friendly. 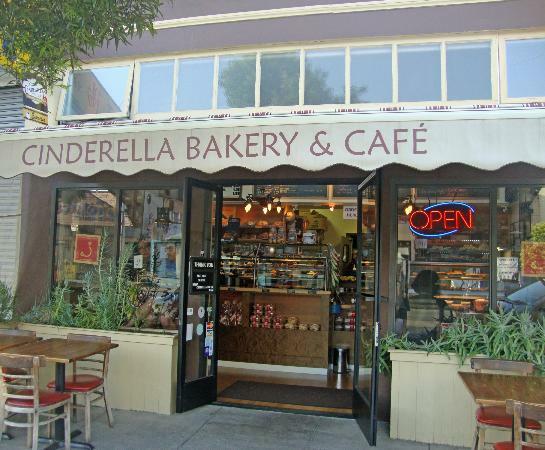 We couldn't resist taking home some of the tempting baked goods. 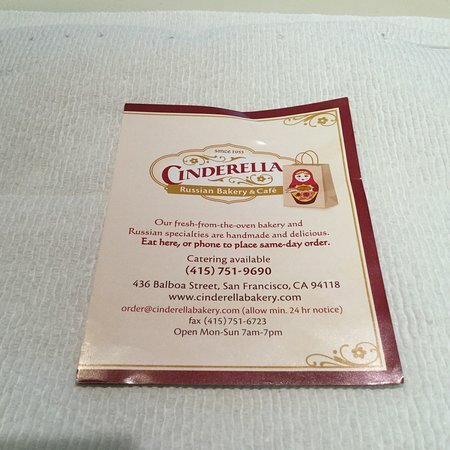 Get quick answers from Cinderella Bakery staff and past visitors.